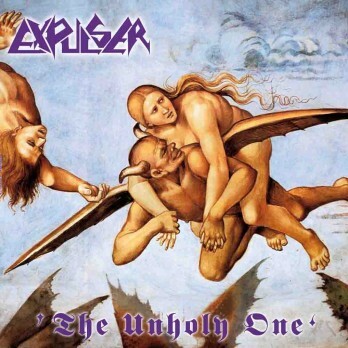 Greyhaze Records is proud to announce the reissue of The Unholy One, the debut album by EXPULSER. Originally released in 1992 by Cogumelo Records, this once rare album is once again available on CD, LP and cassette. The Unholy One’s audio has been completely restored and remastered from the original master reels. Visually, the album features restored and expanded artwork including liner notes by founding member Alessandro Lima. The LP version will feature 180-gram vinyl as well as a double insert and poster. The CD version features three bonus tracks from the Fornications EP.